Did you know that you can blow up a balloon without using your mouth or a helium tank? You totally can. 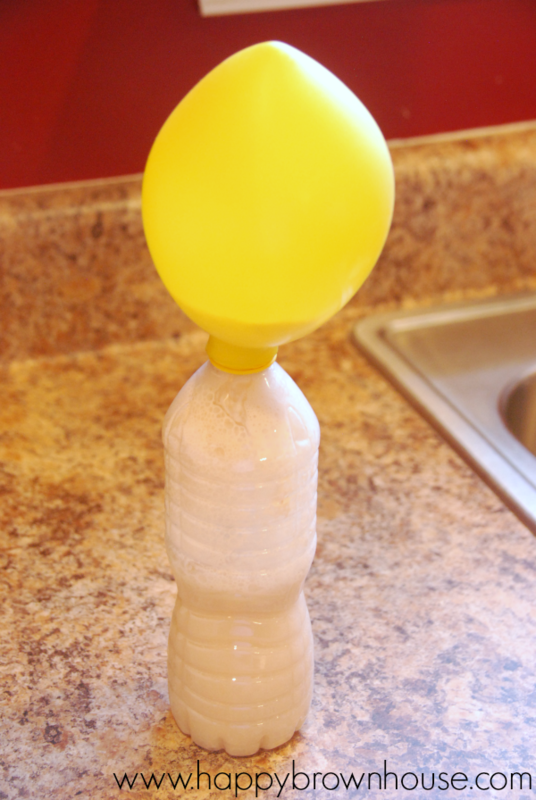 This super fun Sugar & Yeast Balloon Experiment will have kids wondering how it works. 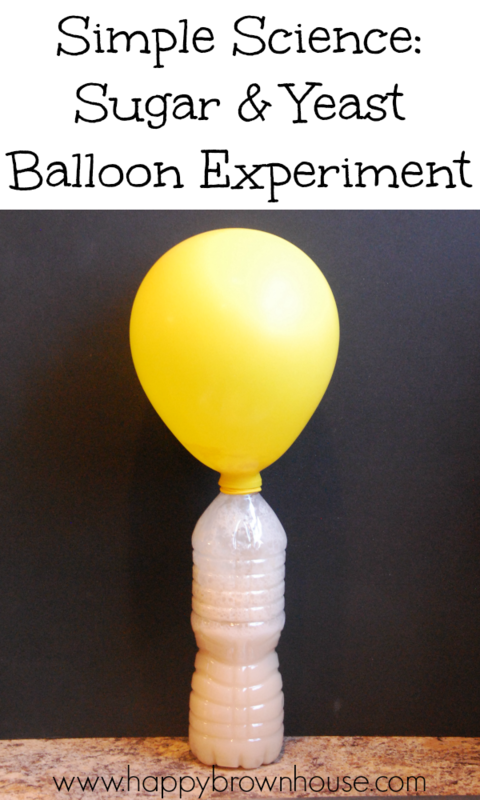 Much like our magic light bulb balloon experiment, this balloon experiment is easy to do. This is one of those experiments where the kids can do most if not all of the work. The only thing they might need help with is putting the balloon over the bottle opening. Everything else is easy-peasy. 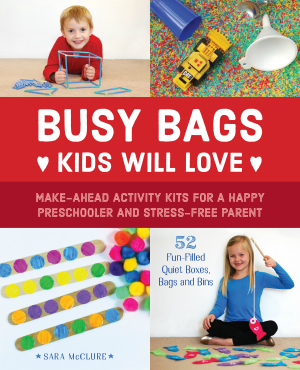 This is a great preschool or kindergarten science experiment and would even be a good balloon science fair project. 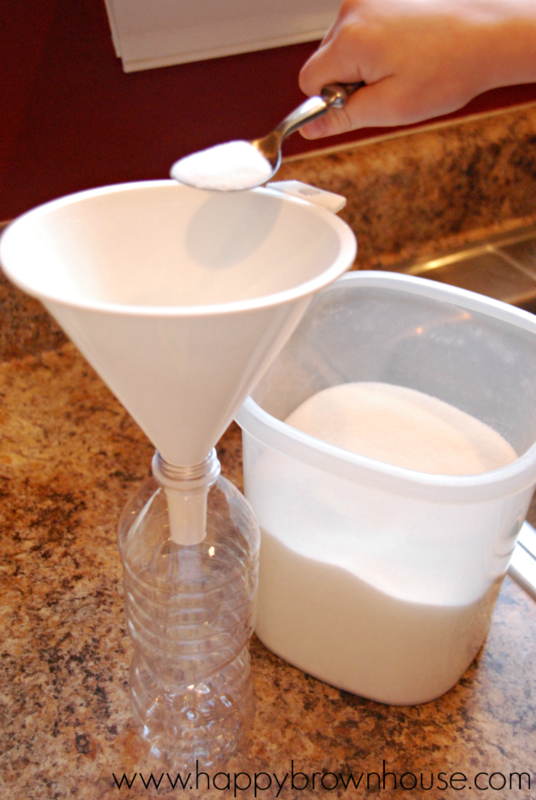 For the yeast balloon experiment, put a couple of spoonfuls of sugar in the bottom of the empty water bottle. You can use the funnel to make this a little easier. Fill the bottle about half full with warm water. 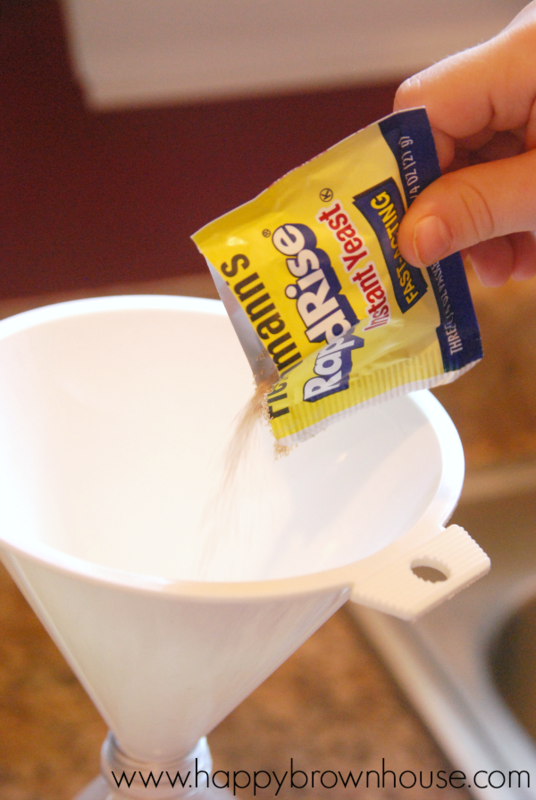 Add a package of yeast. 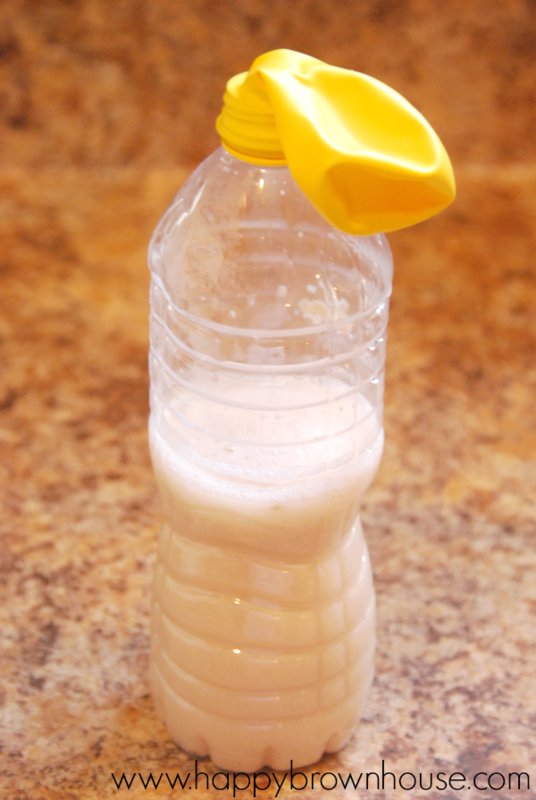 Swirl the bottle around or put the top on and shake the bottle to get the yeast wet to activate it. Now you wait for the magic to happen. This will take a while. I’d say we left ours for over an hour to let our balloon get really good and inflated. 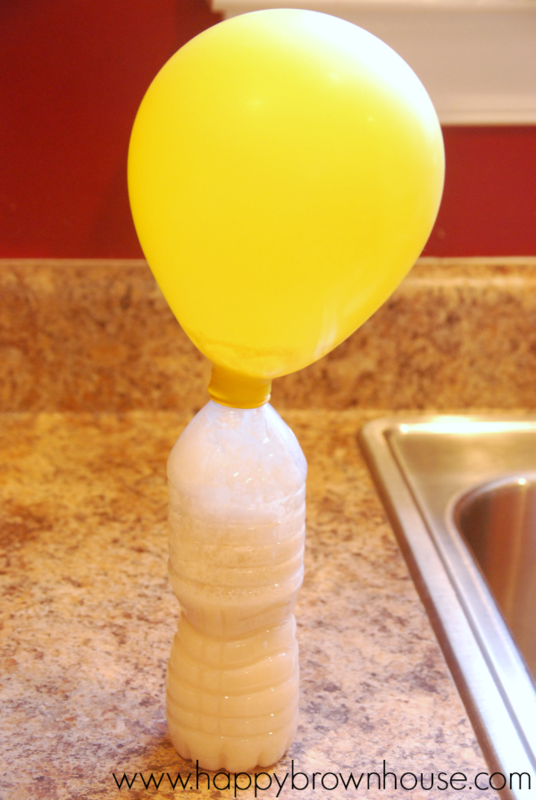 How does the yeast balloon experiment work? 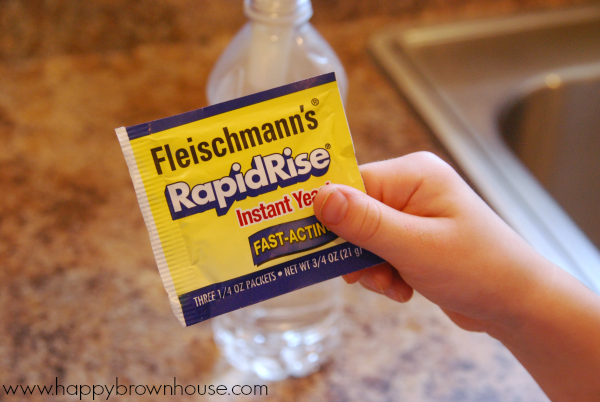 Yeast is a microscopic fungus. As the yeast eats the sugar, it releases a gas called carbon dioxide. The gas fills the bottle and then fills the balloon as more gas is created.